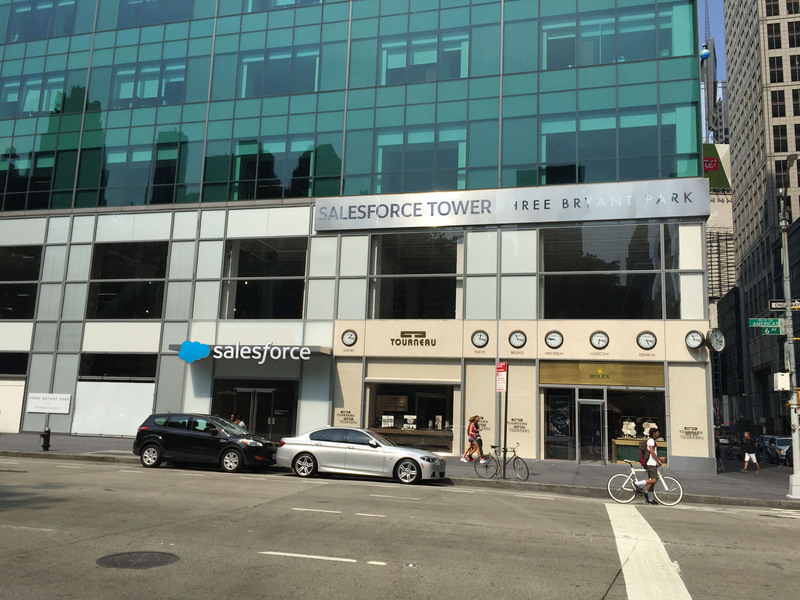 Salesforce Announces Salesforce Tower New York! We’re thrilled to announce that we plan to significantly expand our presence in New York City with a new regional headquarters right in the heart of Midtown! 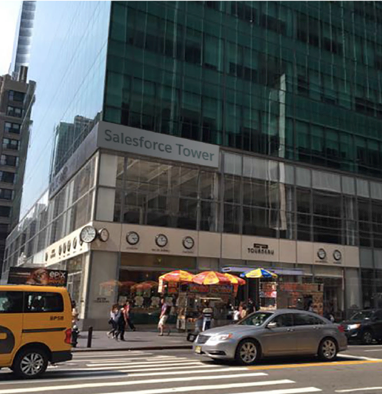 Our new home will be at 3 Bryant Park and will be known as Salesforce Tower New York. This will be our hub for all of our amazing New York employees and a world-class space where we can proudly welcome our customers, partners, and the community. The new Salesforce Tower New York building will feature a state-of the-art lobby showcasing the latest technology innovations, as well as a world-class executive briefing center and a stunning, two-story high Atrium space where we plan to host events for our employees, guests and the community. 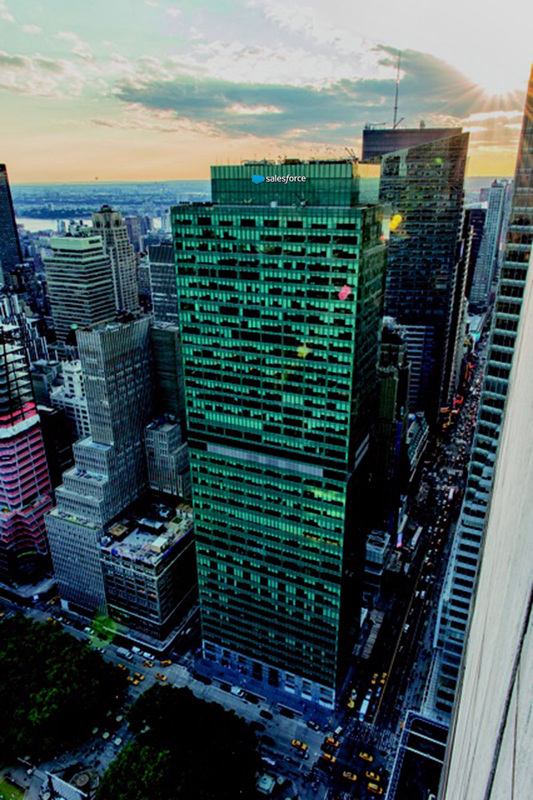 And to top it off, our logo will be on the roof of 3 Bryant Park, adding Salesforce to the Manhattan skyline. 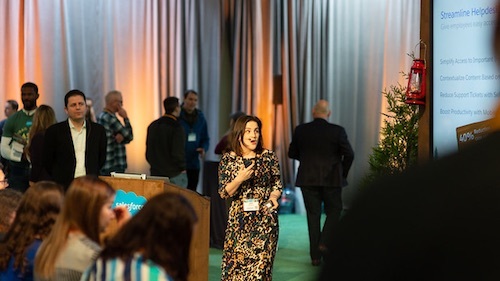 Salesforce is also committed to supporting the New York region through its 1-1-1 integrated corporate philanthropy model, in which Salesforce’s product, resources, and employee time are dedicated to the communities where employees live and work. 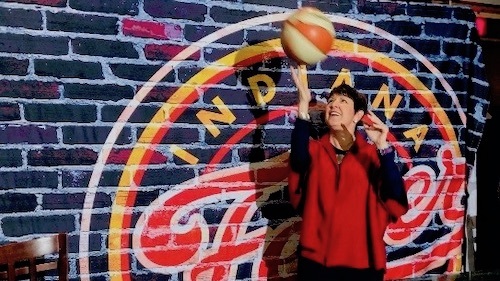 Our New York employees are so pumped, that they’ve set a new goal to reach 37,000 volunteer hours this year by donating their time to causes that help schools, veterans and women in technology. 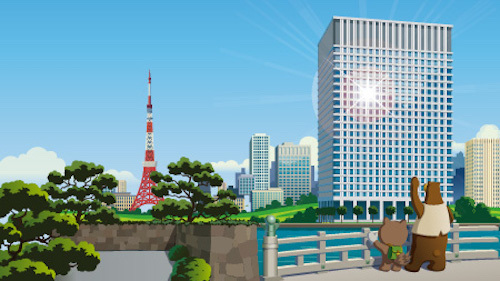 What truly makes Salesforce a great place to work are the people. Salesforce Tower New York will bring our #SalesforceOhana culture to life in an inspirational space where everyone can come together to collaborate, innovate, and do the best work of our lives. As one of Fortune’s Best Places to Work for the past eight years, we are excited to tap into New York’s diverse talent pool. In fact, we plan to add hundreds of new jobs and double our workforce in New York City!